Executive Suite as a small business or solopreneur? Think about your current work space. Is it a home office, a subleased space, or a standard office space for your small business? Or are you an an individual entrepreneur or freelancer? Does your location provide you with the ample space and resources needed for everyday operations? Do you feel it is beginning to, or has been, holding your company back from greater client and financial growth? Are you prepared to take your organization to the next level? Now, think about your dream office space. Picture the level of success you hope for and what it means in relation to your company’s mission and industry objectives. What do you see? For many large companies, small business leaders, sole proprietors, and freelancers one of the biggest challenges is creating a business space that represents the company brand with both space flexibility and cost effectiveness. More so, many small business owners believe that they don’t have access to the resources or funding to expand, or to move their business to a growth-driven location. At Better Office Furniture, we aren’t simply about providing you with the highest-quality and affordable office furniture that improves productivity and streamlines common, long-term office problems, or top-notch customer service. It is also our mission to ensure that we are helping you create your dream space, large or small. That is why we believe that if you are searching for a more professional presence for your home-based or small business, an Executive Suite may be a perfect fit. An Executive Suite is a temporary or short-term office that provides a C-level, private workplace equipped with shared amenities. This includes conference and break rooms, with other businesses throughout the facility. Not only do they provide rapidly growing SMBs (small to mediums sized businesses) with flexible leasing agreements for small to large office spaces (usually ranging from 100 to 1,500 square feet), they also provide businesses with value-added services, such as low monthly rent for leases as short as 90 days. Some places even allow month-to-month leases. Why an Executive Suite is Good for Business? Obtaining an Executive Suite centralizes everyday business needs and streamlines operations. Imagine walking through the front door, greeting your Executive Assistant and your fellow colleagues, collecting your morning mail and messages, and then walking into your personal office to start the day’s melody of tasks and meetings. Tasks and responsibilities become easily delegated throughout the organization. While low-level tasks, such as taking phone calls, scheduling meetings, filing, and organizing mail are passed onto the suite’s administrative assistant. In other words, a single short-term space provides better flexibility, general office flow, and coordination of daily activities and provides you with more time to manage current projects and prospective client networking. Small to large conference rooms and communication technologies are readily available. No need to worry about where to meet clients, because there are conveniently located conference rooms in the same space as your office location. Collaborate easily with other businesses at the same office location to schedule on-going or new client meetings, weekly team meetings, presentations, brainstorming sessions, staff lunches, team building exercises, and everything in-between. Set-up new or reschedule meetings with the help of the suite’s Executive Assistant. Plus, have quick and easy access to more current, innovative technologies that you might not currently have available to you as a small business owner or sole proprietor. Whether it is to effectively manage outbound calls, Skype business sessions, presentations, team and client brainstorming sessions, and team or executive meetings, you can ensure that you will always have what you need right at your fingertips. Renting an Executive Suite is cheaper than working in a standard office space. Whether you are looking to obtain an Executive Suite for your small business, a simple co-working space for you and other freelancers, a virtual office space, or a shared office space, such can be far cheaper to rent compared to purchasing or subleasing a location. Along with not having to purchase major amenities, rent is typically low and can be leased for short-term (as little as 90 days) or long-term (up to three-years). You will also save on shared utility costs like high-speed Wi-Fi, water, electricity, and trash pickup. Executive Suites are perfect spaces for business networking and collaboration. Take your time when you are searching for the perfect new location for your business. Don’t just look at the space itself, be sure to research other companies in the building and meet and greet with other executives and managers. Having a strong variety of companies and industries in the same complex allows you to have a unique networking world right at your fingertips, adding significant value to your business. An Executive Suite provides a more polished, professional feel without sacrificing small business values and services. Having a single-space for your organization’s daily work cultures new opportunities for innovation, ensures employee accountability, and allows managers and staff to easily collaborate on client projects as needed. It allows you to rethink your own role as an executive-leader, transform the company’s internal culture across multiple departments, and push more boundaries aiming to help you and your team achieve your company’s mission. It also provides additional space for your employees to step away from the daily grind and projects; which in turn improves employee satisfaction and long-term retention. Not sure what type of office layout you should be looking for when looking for an optimal Executive Suite location? Better Office Furniture has the expertise to help you find a location that balances privacy and accessibility, is spacious and noise-friendly, and provides both comfort and increased productivity. Check out our online resources for details about our commitment-free Space Planning Analysis to capture what type of office space fits your exact needs and wants. 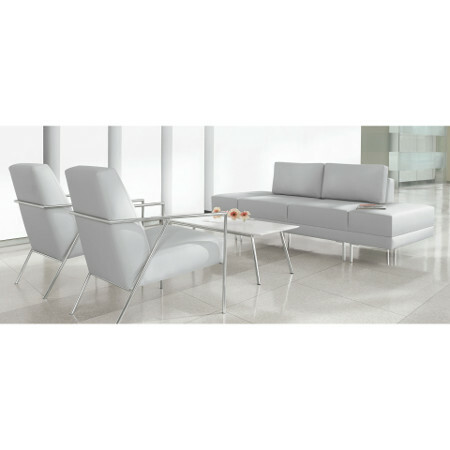 Searching for the perfect new or used furniture to fill your new Executive Suite? 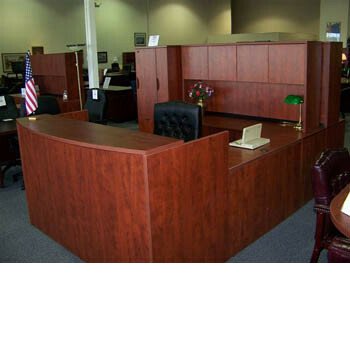 Better Office Furniture of St. Charles, Missouri has a great selection of beautiful desks, executive chairs, bookcases and shelves, file cabinets, storage cabinets, and an array of other office furniture that you can select from to design the perfect space to fit your needs. Lastly, worried about the expense of finding the best office furniture? Ask about our great selection of used office furniture and Free Estimates to create a beautiful, long-lasting, high-quality look for less. Start reaching for your big, small business and start-up business dreams today by contacting Better Office Furniture at 314-266-9083, or visiting our St. Charles, MO location by appointment. Plus, check-out our Facebook or Twitter pages to find inspiration of how to design your business’ Executive Suite and start creating more high-growth opportunities for your business. Imagine the perfect office chair. Do you see it? Can you feel it? A chair that not only looks good, but feels even better. It is distinct in style and function, and built to last with its modern use of comfort technology and multi-dimensional ergonomic adjustment capabilities. It is the new and improved X-Chair. Other ergonomic furniture simply has elements that are meant to provide support and stability, but the X-Chair takes what you know and love about ergonomic seating to the next level. This chair literally works with your body, shaping itself to fit your everyday needs. It is built with a height-adjustable backrest, seating that can be adjusted for both depth and height, multi-dimensional armrests, a comfortable headrest that can be angled or adjusted, and the ability to change and lock the tilt of the chair. How? The X-Chair has become one-of-a-kind in ergonomic technology through the feat of things like Dynamic Variable Lumbar Support and SciFloat Infinite Recline technology, which provides the perfect support from head to toe. Better Office Furniture has previously told you of the many benefits of ergonomic furniture and all we have to offer, but we are here to tell you that the X-Chair takes those benefits even farther. These chairs don’t only provide a comfortable cushion, proper angling and adjustment, and wheels for mobility. The X-Chair utilizes SciFloat Infinite Recline technology that allows for effortless movement by adjusting and reclining to match your unique body weight and height, which has been proven to increase energy levels, memory and concentration abilities, and improved blood circulation in the arms, legs and feet. Motion and circulation are additionally improved in the arms and hands with 4-dimensional armrests that allow for the height, width, depth and angle of the armrests to be simply adjusted to allow for greater stability and movement. Meanwhile, the Dynamic Variable Lumbar support allows the chair to move with your body without the need for adjustments during the day and the backrest fits perfectly with the curvature of your neck and spine to provide you with the best support possible. The X-Chair uses the technology of today to provide the greatest support for your head and neck, lumbar, arms, back, and the free movement of your whole body. 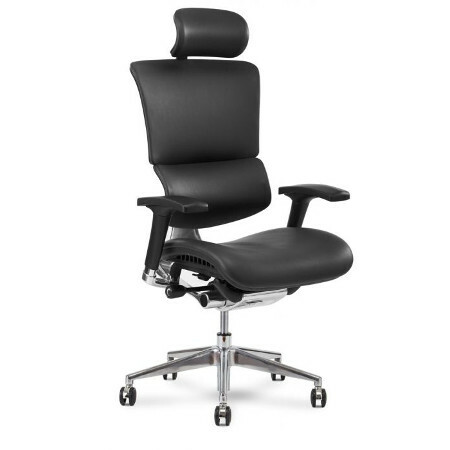 Better Office Furniture has the Perfect X-Chair for You! We know how much you are going to want this chair, so we have specially selected the best X-Chairs on the market to sell directly to you at our St. Charles location. We have six options currently in-store that you can come in and test run, including an X-Chair side chair, nesting chair, and a variety of computer task chairs! We not only want to give you options, we encourage you to come see and feel for yourself how truly comfortable these chairs are. Want to experience ultimate comfort on a budget? The X-Side Chair combines the comfort of Flex Mesh technology with a unique design and modern ergonomic support. This inexpensive beauty shows you that even simple designs can be stylish and can easily adjust to fit your unique needs. If you need comfortable, ergonomically-friendly, stackable, and mobile folding chairs; the X-Stack Chair is just what you need. You will never look at a nesting chair the same way again, because these chairs utilize both Flex Mesh Technology and a pivoting backrest that allows for comfort and durability despite their general use and fair price. Now you can hold large-scale events or meetings with great ease, ensure that all your staff or guests are sitting in great comfort, and still find simplicity in their storage and transportation from place to place. Styled for comfort and support with Flex Mesh technology, this task chair is perfect for individuals that sit for long periods of time and are more sensitive to potential pain and discomfort. The mesh technology is not only aesthetically pleasing, it also allows for airflow and durability as it moves with your neck and back rather than compressing it. Some have described sitting in the X1 Task Chair’s mesh seating as being suspended in the air, almost as if you are floating in comfort. Enjoy the ultimate feeling of comfort with K-Sport Advanced Performance fabric. It combines the same benefits provided by the Flex Mesh Technology of the X1 Task Chair with even better breathability, circulation, weight dispersal, compression resistance, and durability. Plus, the fabric in the X2 Execeutive Task Chair provides a beautiful look and incredibly soft touch, making it a more bold and polished choice in task chairs. To go for an even classier look, the X4 is the premium leather model of the three. If you are looking for a chair that will meet your ultimate expectations, this is the one for you! You won’t find any other leather chair that is as sleek, supple and polished as this elegant beauty. All while providing you with the ergonomic technology and comfort that you deserve. We know that you spend 40-hours a week working hard at your desk and here at Better Office Furniture, we never believe you should have to sacrifice comfort or style. The X-Chair is the best combination of both with its bold and elegant design, including our very own selection of unique fabrics, and ultimate pain-free comfort that is guaranteed to bring even more productivity to your work week. These chairs usually range from $750 to $1,250 per chair, but visit Better Office Furniture in-store today and we will give you special prices you won’t want to miss! We are conveniently located in St. Charles, MO, just off Highway 370 and Elm Point Industrial Drive, near the Saint Charles Soccer Complex Park. Give us a call at 314-266-9083 to schedule an appointment today! Office design trends, and office furniture, have vastly evolved over the years. Their evolution delves well beyond personal taste or style, and manifested into a realm of catering to functionality and productivity. Who do design experts credit this evolution to? Millennials! As bad of a rap as our poor millennials have acquired for being self-absorbed and lazy, changes in the work environment, at least as far as design goes, suggest otherwise. So why does it seem millennials are changing atmosphere and design in the workplace? They want more, but in a good way. Previous generations have been heavily focused on their paycheck as what was most important to them to get from their work. While millennials do want to be paid, they are putting importance on things like flex hours, paternal leave, and inviting work spaces ( to include office furniture). Interestingly, millennials are the ones who want to feel like they work in a community environment, and are interested in collaborative spaces. This is on the opposite end of the spectrum from the baby boomers, who seem to prefer larger, private office spaces. While there are still plenty of large, private office spaces to be found, many companies are transitioning to more of the millennial style. This evolution in office space and office furniture makes sense. As boomers are beginning to retire, and more millennials are coming into the workforce, we should expect to see a large increase in millennials in managerial positions over the next 5 years. How do businesses start out? Well, most start with an idea one person has that they act on. It starts with them working at their own desk or dining room table, then they bring on a couple other people, and they’re all around that dining room table, or utilizing a card table in a garage. Ya know, whatever works. It’s not grand or glamorous, but that’s the reality of where even the biggest of companies start from. And what comes along with that small group of people gathered around the dining room table? Collaboration, ideas-they feed off each other’s energy, and low and behold…PRODUCTIVITY! As humans we innately feed off other people’s energy. Then what’s next? The company grows, they quickly move into an office space where everyone has their own dedicated, private workspace, and continue on. But what disappeared? Many times the energy disappeared. That good, raw energy that radiated so freely around that dining room table is now amiss! How does all this collaborative, inviting office space translate into actual office setup and office furniture? Well, if you want to integrate some of the trending office designs, you don’t have to implement an office slide like Google…really, it’s been a thing at Google for a few years now. What you need are brighter colors, some open conference (or collaborative) areas, and small group work spaces. You can also get creative with some traditional office furniture, to deliver the open, collaborative, energy-infused office space you’re looking for. First thing is to start to cut back on your traditional closed-off offices…the fewer walls the better. Instead you can use something like dual workstations in a large room, and put several of them in there. This eliminates closed off office spaces, and still allows for personal workspace. 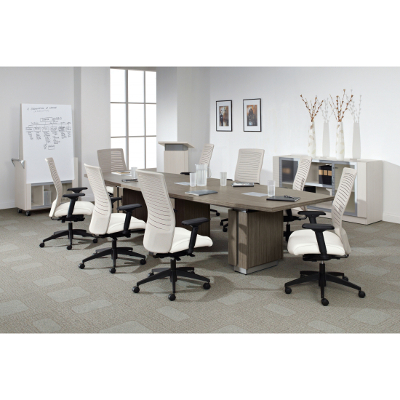 Another economical option to create these small work groups, would be to create work quads with more traditional desks, like our used 30×60 Steelcase desks at Better Office Furniture in St. Charles. You may be thinking, “Well, if I go ahead and put in these work quads, where will they store files and supplies that don’t go in their desks?! We have a solution for that too. If you put together these quads towards the center of the room, you could then add credenzas up against the wall, that could house extra necessary supplies. If you prefer, you could also go with file cabinets. The important thing is to make sure whatever storage style you choose flows with the seated workspace. Actually, I’m going to go off in a mini-tangent here! We’re having a HUGE, I mean enormous Labor Day sale this weekend. Those used Steelcase desks mentioned above, yeah, you can get your hands on those puppies for $99! I’m going to drop a quick image below with sale prices for you. That way I can carry on with the rest of this millennial office design you’re dying to know about. Okay, so we nailed down some workspace furniture. As far as the design for that area, we recommend bright, and natural colors. Adding some artwork is a phenomenal idea, too. In fact, an article on Forbes cited that 77% of professionals on LinkedIn who were surveyed said artwork makes them feel happier; 74% said it inspired them and 27% said it improves their productivity. I don’t know about you, but I want my employees happy, inspired, and productive! What else can I do besides open up offices? Opening up offices and creating a more inviting atmosphere is a fantastic first step. If you really want to create that millennial-loved comfy,inviting atmosphere, we recommend you create a couple small, less formal collaboration stations. This is pretty easy to accomplish. Often a reception style seating space, like the one below, will be enough area for a few team members to sit and brainstorm, or bounce ideas off each other. Plus, it has a fresh, clean style with a white color or lighter color that will brighten up the area. Technology falls into the office trends category. If technology is an area you’re perusing to upgrade, think mobile: laptops opposed to desktops, tablets, headsets, and wireless mice. Millennials becoming a larger part of the work force, and largely taking their everyday work environment into account when job-hunting, means providing the tools they are used to utilizing. And least be honest, most of these are a heck of a lot more time efficient (millennials for the win again)! Good news for you if you’re dragging your feet into the 21st century, but truly want to add something that starts to transition you to the open and collaborative office realm. Something I didn’t put in the “technology” list, but is loved: a white board! That’s right, no fanciness here. Just a big, simple white board. They key is to have a large meeting style table, get some nice looking white office chairs, and stick a white board at the front of the table! This creates an amazing space for large team collaboration, and can also double as a conference area. Have more questions about open and collaborative spaces? We’re only an email away. You can also call us at 314-266-9083. 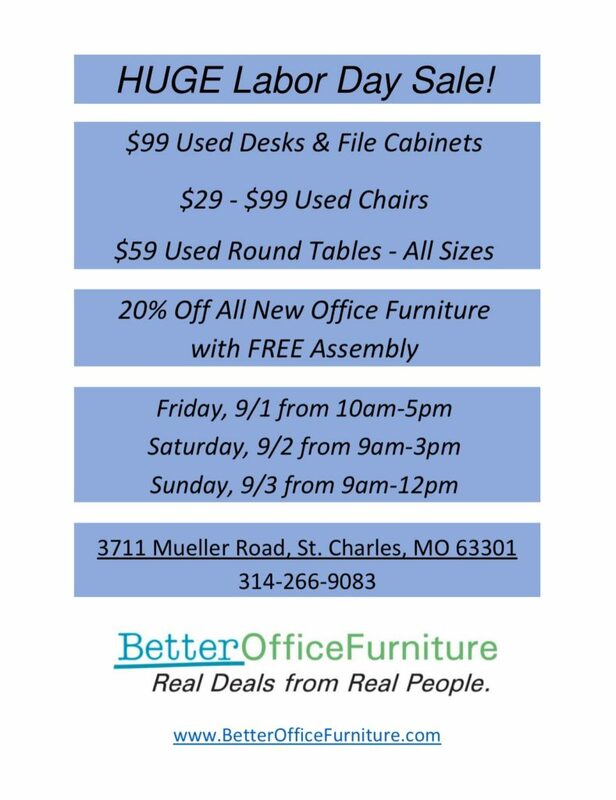 Better yet, stop by our Labor Day Sale at Better Office Furniture in St. Charles this weekend! Have you ever seen those tiny house shows on HGTV? You know the ones where they inexplicably are able to convert like 400 sq. feet, or less, into some sort of mini luxury bungalow. It’s quite fascinating really. Do you feel like you operate out of an office version of a tiny house, but without the cool storage space, and thoughtfully planned layout? Papers overfloweth,lack of storage is a gigantic problem, and you can’t seem to find a solution that offers professionalism, but doesn’t resemble your great-grandpa’s office furniture and design? Well then keep reading for, “9 Ways to Make Your Tiny Office Space Seem Larger”. Sure, if you’re operating as a small business it may make more sense to operate out of a small office space. Especially if you only have a few staff members, or if you are a solopreneur. So here are some ways to make your office space seem bigger. 1-Use lighter colors on the walls- This one may seem evident, but if you’re in a small space you want to make things seem brighter. Using warm, dark colors will make your space seem way too “cozy”…aka, like the walls are coming in on you. This advice doesn’t just stop at the walls though. You also want to keep it light with the flooring. This can seem counterintuitive because most people opt for darker hues to keep the floor from appearing dirty. However, regular cleaning can keep the lighter hues looking fresh and new. If you’re overly concerned about the lighter floors though, you could opt for a light colored tile. Tile makes for easy clean-up and maintenance. 2-Keep furniture away from the wall-By keeping your office furniture such as desks, cubicles, sofas, etc., up against the walls you make the entire office space seem congested and cramped. By merely pulling those office furniture pieces out just a few inches you create an illusion of more space. 3-Ditch the curtains-Curtains are phenomenal in rooms where you want to add texture and softness; like in a bedroom or living room. When working with a smaller office space the key is to keep everything clean and airy feeling. As an alternative you can find some lighter-hued window shades to open up and brighten your office space. 4-Using matching office furniture-If you’re working with a small office space, keeping things matching makes the room visually easy on the eyes. 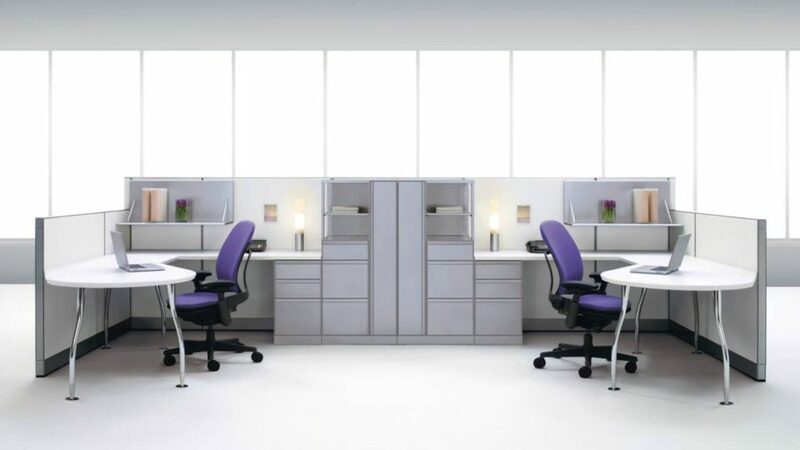 Also, use high-functioning furniture such as Tayco’s new Switch Cubicle Solutions which are EXACTLY what you have been scouring the office furniture world for! They offer a slim design and powerful performance. 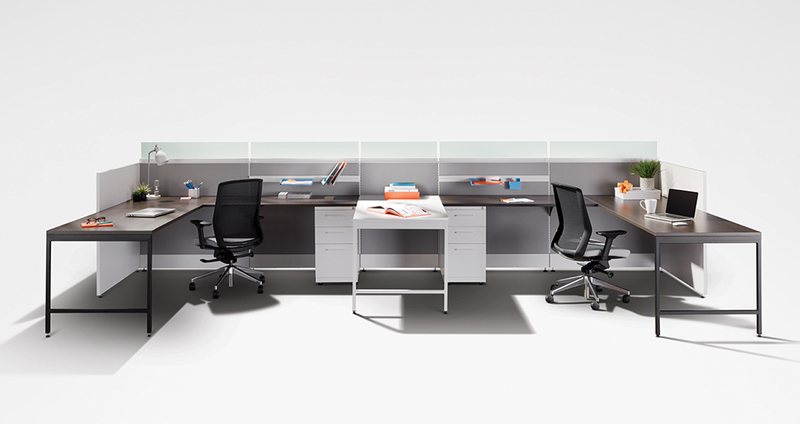 Switch boasts a modern cubicle style layout that optimizes on space with numerous storage options, and also adjustable height desks and panels. 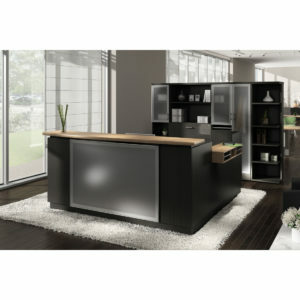 The acrylic and tempered glass on top of the panels assures both privacy, and a continued flow of natural light to keep your small office space light and airy feeling. 5-Keep patterns simple-Sometimes we want to add crazy pops of pattern to “liven” up a space. When it’s a small office space though simpler is better. Much like with matching office furniture, it is easy on the eyes and eliminates “visual chaos”. Try to keep to one bold piece/pattern in a smaller office space. Again the Tayco Switch line offers promising options to keep you organized and clutter free on your desktop. 7-Optical Illusion- Using mirrors in a small space helps the rooms feel as though it has more depth than it actually does. It also helps reflect light to make the room feel brighter. 8-Add shelving, and add it high up-Adding shelves helps to keep things from being stored on the floor area. Storing things on the floor makes the office seem more cramped and cluttered. Adding the shelving up higher to the ceiling, draws people’s eyes up, and makes the room seem taller. 9-Stay away from bulky desk chairs-We’re not saying you need to give up comfort, or even ergonomics, but you may not want that over-sized, plush desk chair if you’re operating in a tiny office. 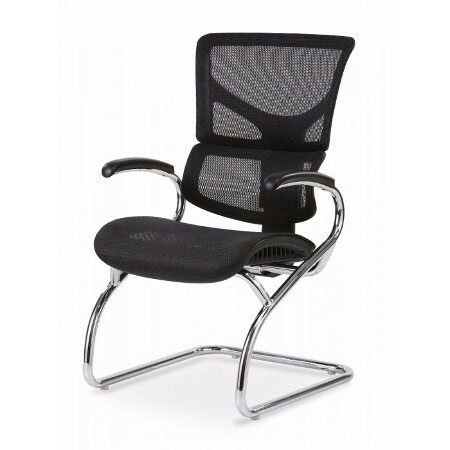 Instead consider using the Express 8920B Task Chair (with mesh back and custom color seat options); which will pair nicely with Switch cubicle line from Tayco. Implement these 9 tips for tiny offices, and your space will seem like it grew over night! Even just lightening up some walls, getting your desks organized, and getting furniture that fits your space well, will pack a powerful punch in opening up your office. Interested in checking out how the Switch office solutions may work for your office space? Contact us for more information! Know that you need a better office solution, but not sure what? Take advantage of our Free Space Planning. We’ll use over 20 years of experience to get you the best layout possible! New Versus Used Office Furniture: Which is Better for Your Office Needs? So, you want to find some office furniture to update your office or a single piece that will better fit your needs, but should you purchase something used or new? Which is better? While Better Office Furniture of Saint Charles, Missouri sells both pre-owned and brand new office chairs, office cubicles, office desks, cabinets and storage, and other quality office furniture; we believe that you should choose items that both fit your ideal needs and your budget. Check out the pros and cons of both used and new office furniture below, to see which is the better investment for you. Why used office furniture is better? While Better Office Furniture believes that buying cheap furniture (in both quality and price) is never the way to go, because we believe in investing your money, energy, and time into something that will last longer than a year, we also believe that reasonably priced, used office furniture can be just as good as new. The key is quality, since you will be using your office desk and office chair every day and for many hours, indefinitely. This is especially true if you are purchasing office furniture for a larger business or multiple employees, where the cost of new furniture – even at moderate prices – can break the bank or hit your maximum spending limit. That is why buying quality, used office furniture can be a life-saver, because you can spend half as much and not sacrifice quality for savings. Take the Steelcase 9000 panels we currently have in stock, for instance. Not only does the Steelcase 9000 series work fluently with hundreds of other Steelcase products, Steelcase panels allow you to easily adjust your office space for both team usage and private space needs. While Steelcase 9000 products are a great investment for your office needs, purchasing used Steelcase 9000 panels can be a better investment for you. Why? Steelcase 9000 panels, like other Steelcase products, have a long life-span and can withstand consistent use within an average office setting, with little maintenance required to keep them working like new. So why not spend less on a quality, used product that provides you with the same comfort, efficiency, and productivity as the same item right off the manufacturing floor? In addition, not only will you or your business save money and not sacrifice quality, buying used furniture can help you be environmentally friendly by reducing the number of resources and embodied energy used, eliminate additional pollutants (i.e. toxic chemicals, carbon emissions and pesticides) being added to the environment, reduce the costs of additional labor and shipping from overseas, and eliminate the need for packaging materials. Purchasing used office furniture also helps the local economy, by ensuring that small businesses – like Better Office Furniture – can provide consumers with high-quality products at a fraction of the cost. It also allows you to utilize funds that would otherwise go towards new products into other business needs and resources. This includes small businesses having the means to place some of their resources towards local causes they support, and maintain environmental integrity knowing that they are not supporting materials being sent to landfills. Why new office furniture is better? At Better Office Furniture of St. Charles, we only sell high-quality, pre-owned office furniture, but sometimes new is simply better. Is it just that glossy shine and new furniture smell? Maybe. It could also be that you know that buying new items won’t affect your bottom line and you want to provide yourself or your employees with the best workstations possible. 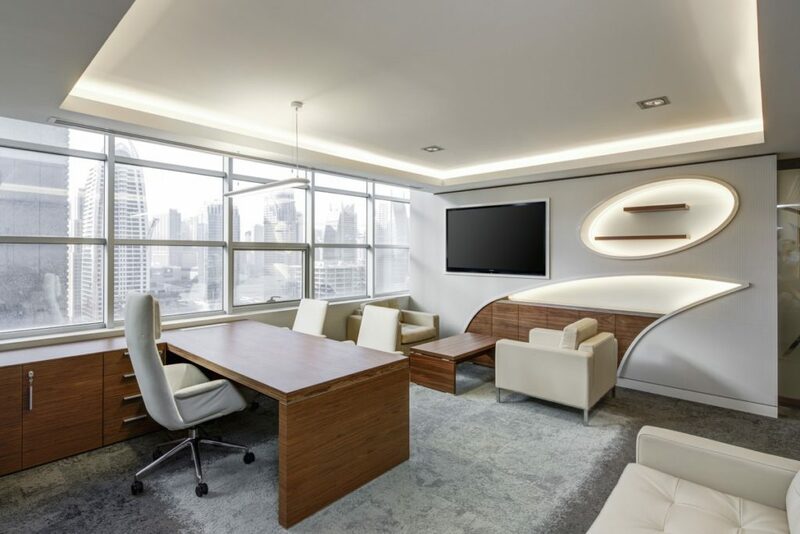 Whether price is not an issue for you or you have spoken with our owner and founder, Salena Mikos, about working on the price so you can still enjoy the pleasures of having furniture that is truly best for you, having new office furniture can provide your office setting with some great benefits. For instance, one of the downsides of used furniture is that you cannot guarantee that it will fit all your needs. Having new office furniture available to you allows you to choose from a larger selection of items, along with catering the finishes and colors to perfectly fit your office setting. Having these options allows you to freshen up an otherwise outdated office to have a more contemporary feel; which will also leave your employees feeling more energized and enthusiastic about coming to work. Your business will also work more effectively with growing technological needs, such as charging stations or cabling that is built-in, while also allowing for more effective organizational space. On a broader scale, having new office furniture ensures that you have better office furniture for your employees, which has been proven to increase overall productivity. This is in part because new office furniture tends to be more ergonomically friendly, which not only boosts office morale but also can prevent the “Sitting Disease.” Not only will your employees not have to worry about over-used office furniture that is squeaky, unsteady, or doesn’t provide the correct support; they will be thankful that you are thinking about their short-term comfort and long-term health by investing in high-quality office furniture. It also can provide some reassurance for your clients and staff that you are envisioning future growth, and have enough confidence in your business to lay down such an investment. An additional plus-side is that new office items have the advantage of a warranty that will allow you to have broken parts and pieces easily repaired by the manufacturer for free, while also being tax deductible with other office expenses in the first year or depreciated. Still unsure about whether new or used office furniture is a better investment for you? Better Office Furniture of St. Charles not only offers furniture that will last, we are also here to provide amazing customer service by providing free space planning and direct consultation with every client to ensure that you will find precisely what you need for your office. You can also fill out our Free Space Planning online form to help you find exactly what you are looking for. Reception Area: How to Cultivate the Atmosphere Your Target Audience will Love! In business, putting your best foot forward often begins with the reception area of your office. When a client is coming for a big meeting, their introduction to the tone of your company happens the moment they set foot in the door. It is important to make a good first impression by having a reception area which emphasizes what is most important to your business. While the client’s first impression is paramount, the atmosphere sets the tone for employees as well. If the moment you step into the office feels right, every day will begin with a smile. It is important for your reception area to match your brand and to be angled towards your target audience. For example, if you work with children, consider having a section of your desk at a lower height to cater to the needs of young ones. Small things such as this can go a long way to make your customers feel welcome and cared for. However if you are a high power law firm, consider dark leather to emphasize professionalism and expertise. Here at Better Office Furniture in St. Charles, Missouri we are here to help you have the reception space of your dreams. While the reception area is only one room in your office, it is arguably the most important. There is more to this space than meets the eye, and looking at a variety of areas will go a long way to creating the mood you want to craft. Whether you are going for a calming space or an environment which exudes power, there are many ways to set your reception area to have the best first impression possible! The first thing people see when they step into your reception area is the reception desk. Reception desks must be both functional, as well as beautiful. There are a variety of types of desks one can choose from which serve not only the practical purpose of a desk, but are easy on the eyes. Having a clear uncluttered space will speak volumes about your brand. There is no better way to give a great first impression than with a great reception desk. We love the Express EL Cherry Reception U Station for its tremendous functionality. Not only is this desk beautiful, it does its job well, with space to work in and areas to put things away when it’s time! The artwork you choose to hang in your office also sets the mood. Whether you choose bright and modern impressionist works or keep things simple with minimalist art, you can showcase your style. A well lit reception area with carefully chosen prints can put clients in the right mood for your office, which can lead to more productive meetings and even more sales! If you don’t have much wall space, or art is just not your thing, consider having a few potted plants in your reception area! Plants also lend a lot to a reception area, not only do they add brightness, but they also help purify the air and have been proven to help reduce stress! While they do require some maintenance, there are many plants which are perfectly suited for an office environment and require minimal care. The seating in your reception area also emphasizes the tone of your company. The style of your seating helps to set the mood of your reception area and emphasizes the personality of your company. Looking for a more modern feel? 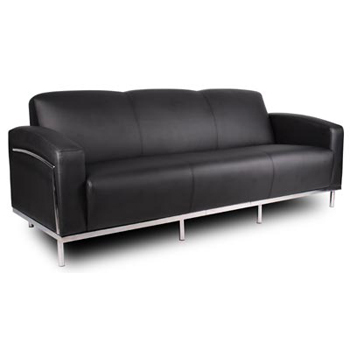 Try our Contemporary Black Reception Couch for a classy yet modern vibe. This high quality piece accentuates professionalism with a hip touch. 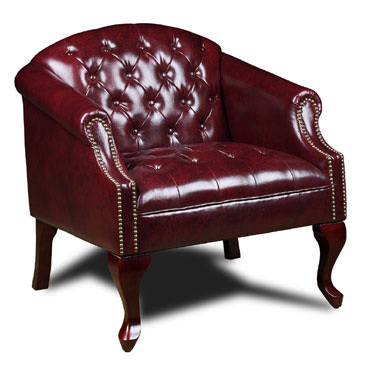 If you want to exude power and class, try our Classic Traditional Button Tufted Chair. The dark leather and dark wood exudes power and confidence, creating a space which says you mean business. No matter what look you’re going for, Better Office Furniture has a seating option for you! Having music in your reception area not only fills the quiet, it helps set the mood you are intending. A soundtrack quietly playing in the background can help make wait times seem shorter, which is a win for everyone involved! Try peppy music if you want to give off an energetic vibe and something calming to help keep everyone in a good mood! The music you play goes a long way to set the mood and create a great atmosphere which emphasizes the culture of your brand. Nothing is more enticing than the smell of freshly brewed coffee! Show some hospitality with a pot of coffee and a fridge stocked with water or other beverages for your clients. Having some small snacks available also emphasizes that you care about your customer and want to put them first! 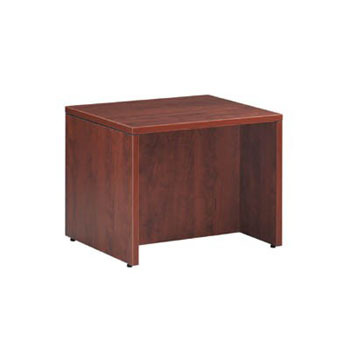 on our Laminate End Table which comes in cherry, espresso and mahogany, will put your best foot forward for everyone who enters. There are many different ways to make your reception area great, take a few of these tips and see how you can elevate your reception area for your clients as well as your employees! We at Better Office Furniture in St. Charles, Missouri want to help you create an on-brand reception area which inspires everyone who walks through the doors!